Never underestimate the power of sleep. From a good night"™s rest to power naps in between the day, relax with unparallelled comfort that's also good for your body's well being. Introducing the Viva Houz Rubber Foam Pillow. 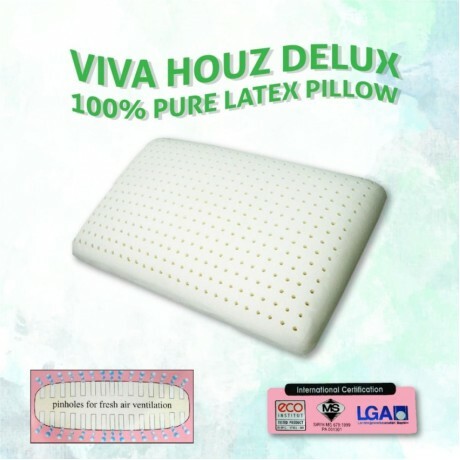 With its supreme cushioning material and resiliency, the Viva Houz Rubber Foam Pillow allows you to get a good night's rest without putting pressure on your body, thus giving you an all round comfortable and satisfying slumber. 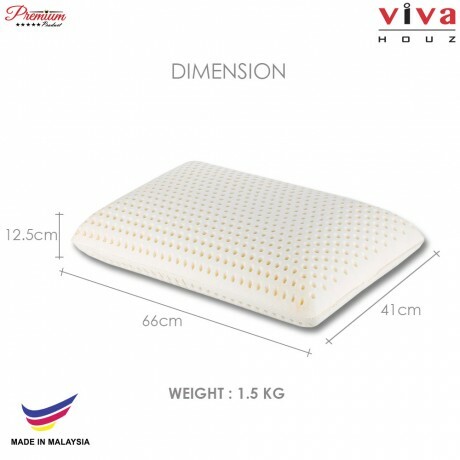 Derived from the sap of the rubber tree, the Viva Houz Rubber Foam Pillow helps cushion your body's weight against itself, allowing it to be able to conform to the shape of your body. This in turn offers excellent back and lumbar support so that you don't ever have to worry about sore muscles and bones the next day. 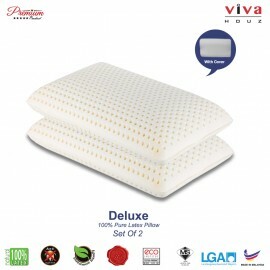 Furthermore, its lightweight and breathable material make sleeping more comfortable and relaxing. There"™s no more need for imaginary sheep counting, just lay down and you will find yourself sleeping like a baby almost instantly. 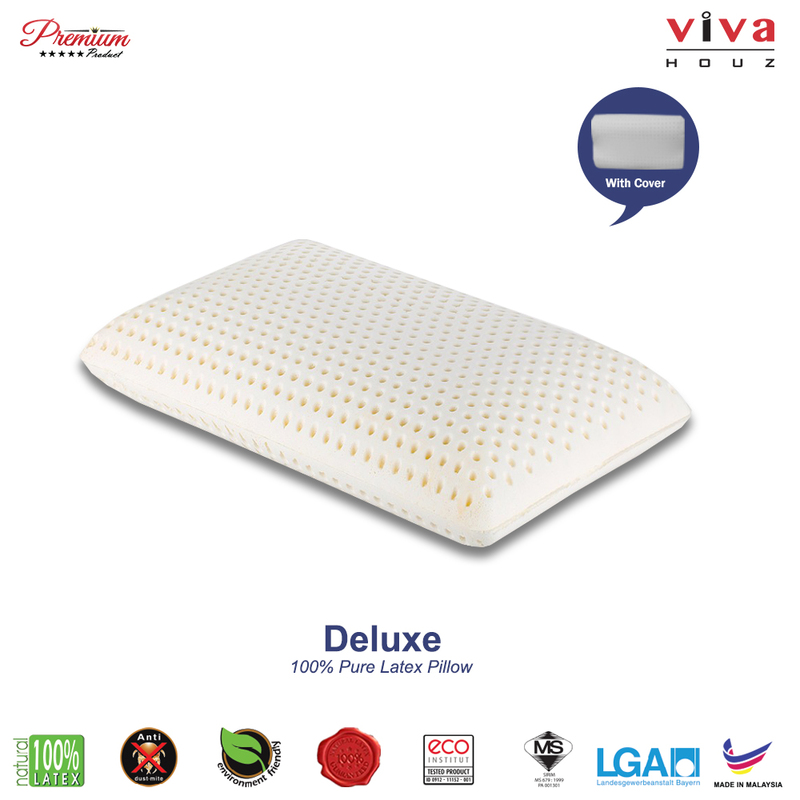 Made to be incredibly soft and cozy, the Viva Houz Rubber Foam Pillow is also durable and long lasting, so that it won't go out of shape. 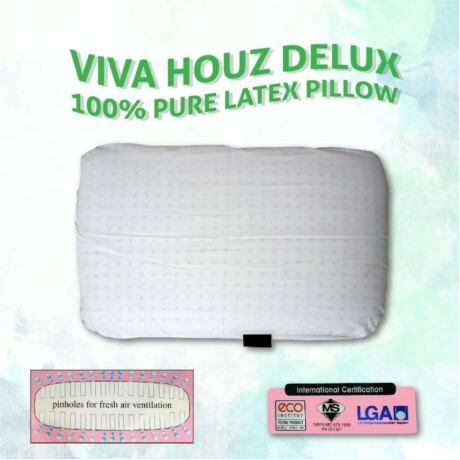 Now you can sleep securely knowing that Viva Houz has your best interests at heart. 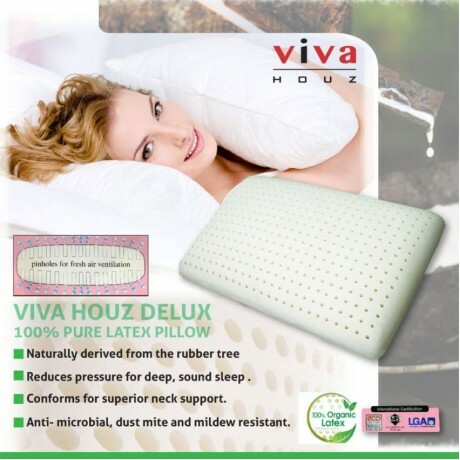 In addition to being extremely soft and comfortable, the Viva Houz Rubber Foam Pillow is also mildew and dust resistant, making it clean and fresh everytime you use it. This way, you don't have to wash your pillows every week, thanks to its anti-microbial properties. Convenient? We think so!